Anders Behring Breivik, who was arrested by Norwegian police in connection with killing 93 people at a youth camp on Norway’s Utoya Island and in downtown Oslo, has admitted his guilt. ­Breivik, who has been charged with the bombing and mass shooting, believed the terror attacks were "horrible," but "necessary," he told Norwegian broadcaster TV2. 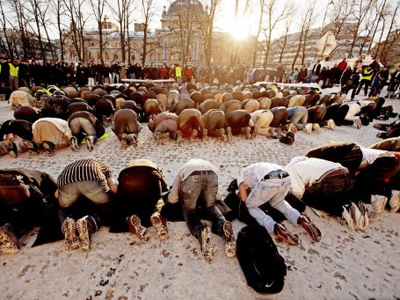 Breivik expressed a wish to give an explanation for his deeds during court hearings that are to start on Monday. 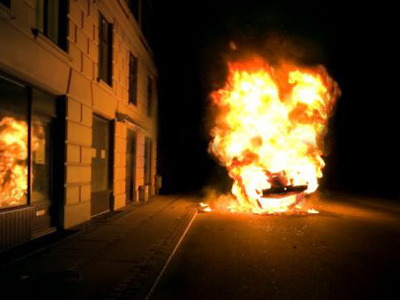 Several hours before the explosion of the car bomb in downtown Oslo, a manifesto and a video were posted by Breivik on the web. "We confirm that some information appeared on the internet," Einar Aas, head of the Oslo Police’s organized crime department, told TV2 channel. The video contains the name "Andrew Berwick" and is entitled "2083 – A European Declaration of Independence." In it, the author lashed put at multiculturalism and Muslim immigration. The accompanying document, which is more than 1,500 pages long, contains Breivik’s extreme anti-Muslim political views and a detailed description of the attacks. 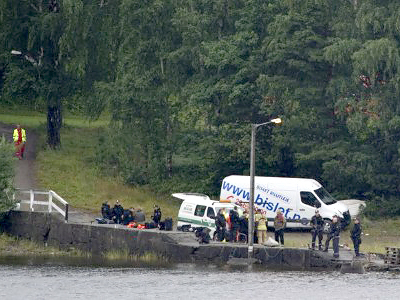 Breivik confessed to publishing the material. 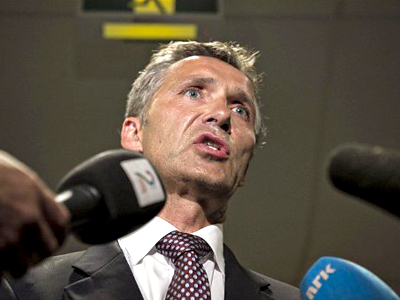 “During questioning, Anders Behring Breivik said he acted alone,” Reuters quoted police commissioner Sveinung Sponheim as saying. 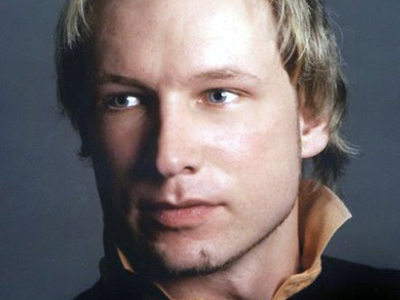 Police say they will examine Breivik's testimony. 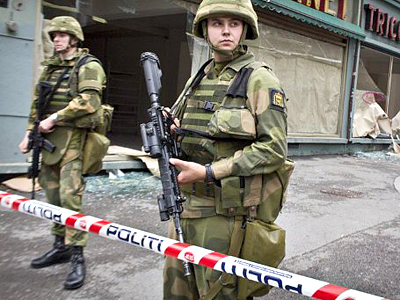 While only one suspect has been arrested, the Norwegian police have not ruled out the possibility someone else may have been involved in the explosion in Oslo and the shooting on Utoya Island. 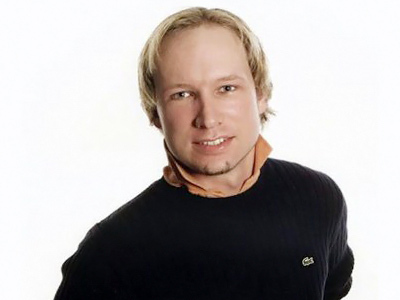 Anders Behring Breivik refused to recognize his actions as criminal, though he has admitted his guilt. ­Details are emerging of how Anders Behring Breivik acquired his weapons and ammunition legally. He successfully applied for a license for a Glock-type pistol and self-loading carbine. On the application form he stated that he would be using them to hunt deer. Breivik noted down the details of his weapons purchases in his day-by-day diary which formed part of his work, “2083 – A European Declaration of Independence”. “In the line ‘Purpose’ in the application I wrote ‘deer-hunting’, though I really wanted to write the truth – ‘punish cultured Marxists and ‘multiculturalistic’ traitors’, just to see the reaction,” he wrote. 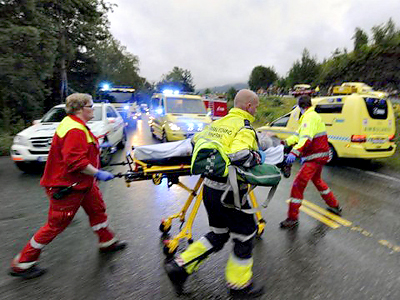 In 2010 Breivik successfully obtained a permit to buy a self-loading carbine. In the pages of his diary he also confessed that buying the gun was a slightly more complicated problem, which he was able to circumvent through his long-standing membership of a pistol club. In January 2011, he obtained a license for an automatic Glock 17 pistol. He said that he wanted to see Europe emulating countries such as Japan and South Korea, which he said are “not far from cultural conservatism and nationalism at its best”. He hoped to inspire “thousands” with his actions to follow in his path. Norway’s state security agencies have so far declined to comment on the ease with which Breivik obtained the weapons he used in the massacre.